After an incredible 10 year run with UWeekly, we felt the time was right to step our game up and produce something of even higher quality for our readers and clients. Something that told their stories in a way only a monthly magazine can do – stories you find on social media. 1870 Magazine (the year OSU was founded) tells the unique stories of the OSU campus, its students, athletics and entertainment scene. It has tons of original content printed on high quality paper. 1870 engages more than 40,000 readers every month. It’s the most effective way to “put your brand in their hands”. 1870 is picked up throughout the OSU campus, inside all major classroom buildings, at greek houses, bus stops and high-traffic businesses surrounding campus. This means you know exactly who you’re reaching with 1870 – no waste. 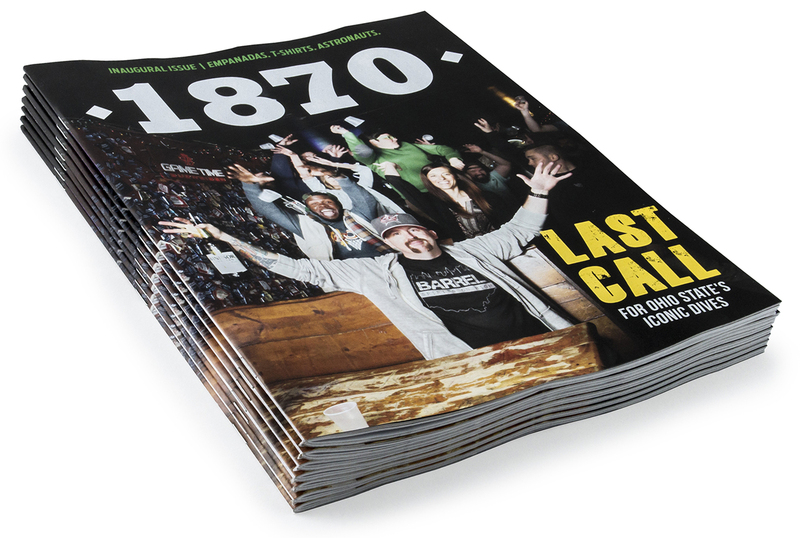 1870 offers a proven way to cut through the digital noise and get your message across to the college audience that matters most. 1870’s social media expertise is a valuable tool for maintaining our brand relevance and buzz. It’s just one more way to communicate with our readers.